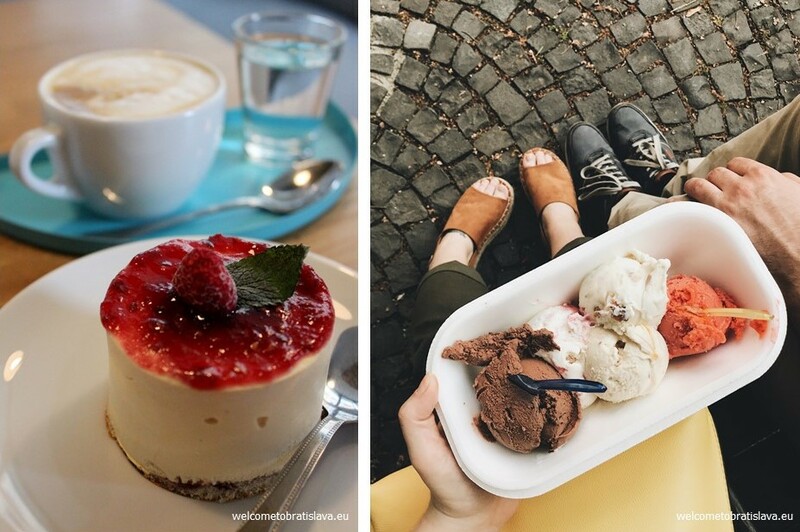 Nothing kicks-off warm weather season quite like ice cream. Gelato to be exact. 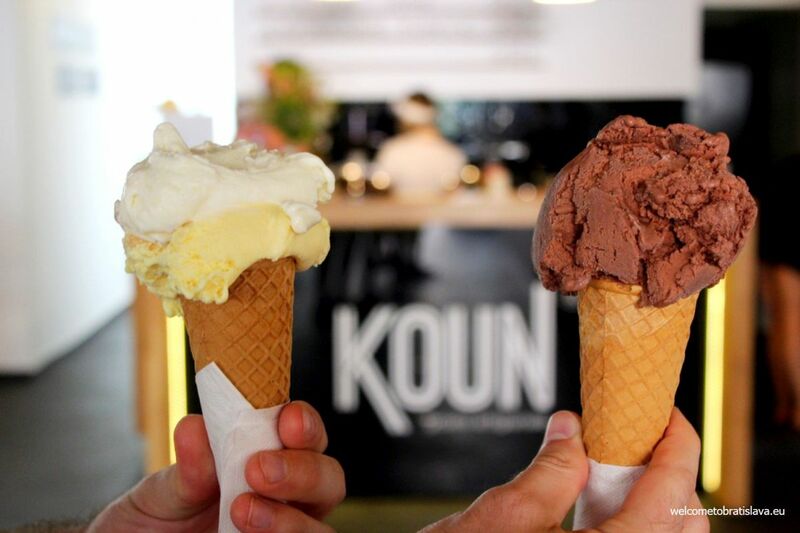 And Koun – as in ice-cream “cone” – makes some of the best in the city. 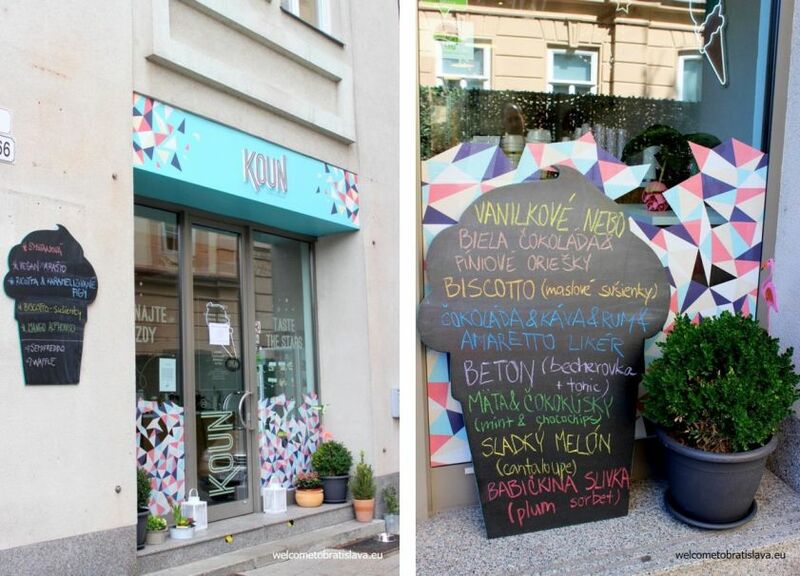 Formerly nestled in a picturesque alleyway of Old Town, Koun has moved to a beautiful new space not far from Hviezdoslavovo námestie and the American Embassy. You can easily walk there, passing the Carlton Hotel and walking behind the Embassy. 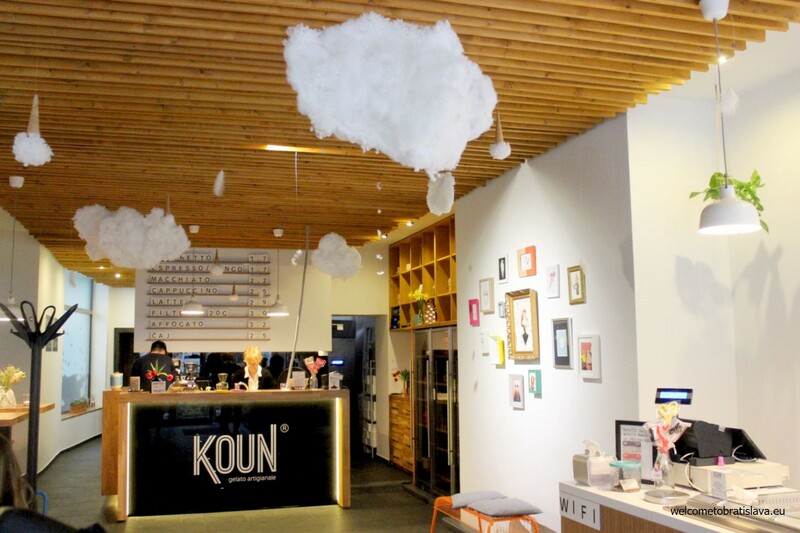 Stepping inside Koun is like stepping into a child’s daydream for grown-ups. Bright walls and a natural wood-beam ceiling give this large space a modern, very hip feel that is made delightful by the large cotton clouds and ice-cream cones floating above. The artwork and other details such as fresh flowers are truly charming. 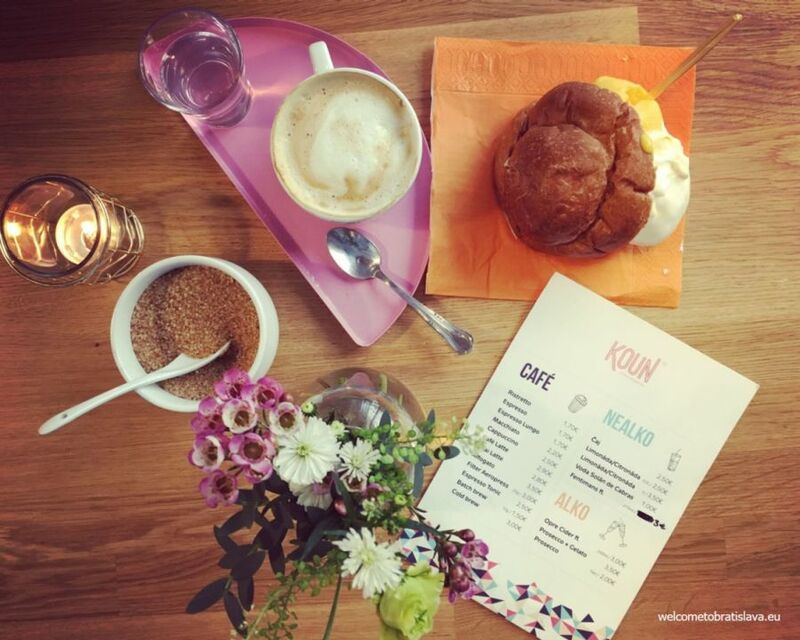 WHAT TO HAVE IN KOUN? 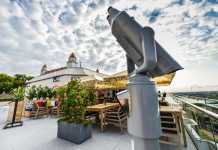 While the flavors change daily, they always offer something exciting such as muscat wine and wild strawberries or cream and salted peanuts. But the chocolate and vanilla flavors are just as awesome. They also have a vegan ice-cream, such as vegan coconut or vegan cotton candy! If you want to try something more complex than just ice-cream, try it with a sweet brioche. For us, this was splendid and it reminded us of one of our summers in Sicily. It tasted very authentic together with their delicious coffee. You can choose two scoops (can be two different flavors) from their daily offer ice-creams. 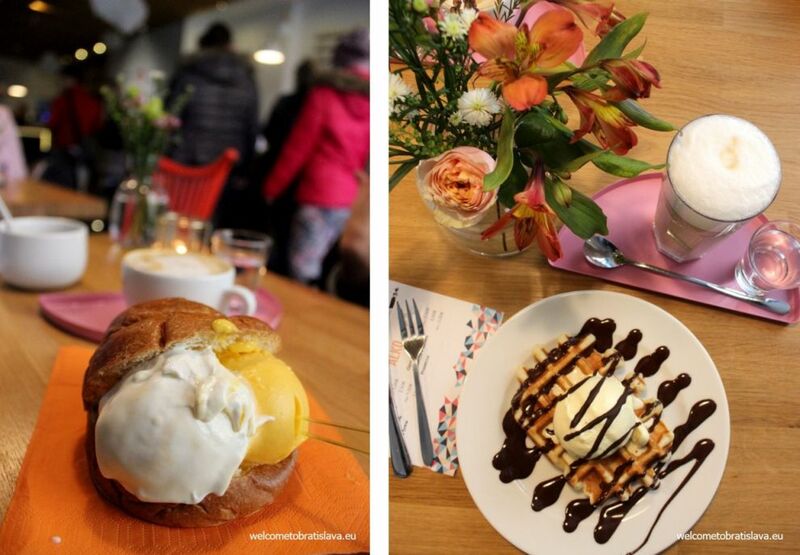 Waffles with ice-cream are one of Koun’s seasonal specialties, mostly during the winter time. You can choose one scoop from the daily offer ice-creams and the topping. While we did not enjoy the waffle’s dough very much (it tasted a bit powdery), we liked the overall combination with the ice-cream. 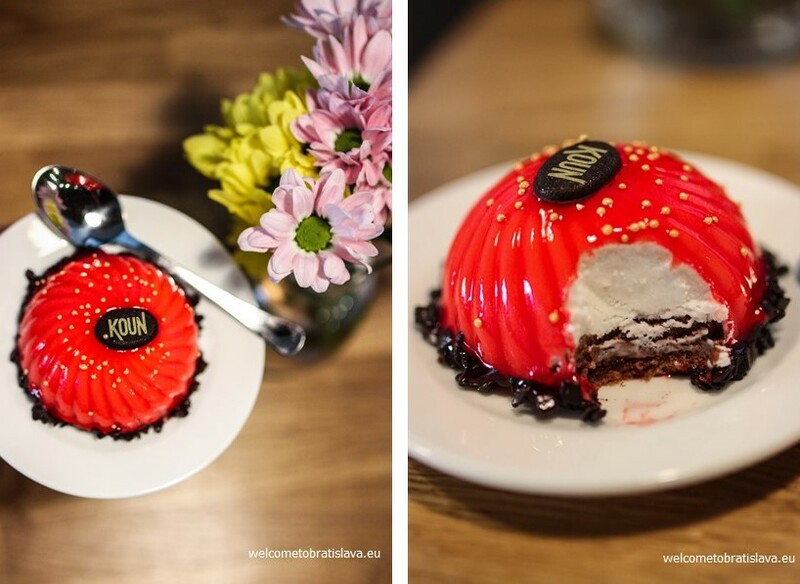 Another specialty which you probably cannot get at any other place in the city are their semifreddo desserts. 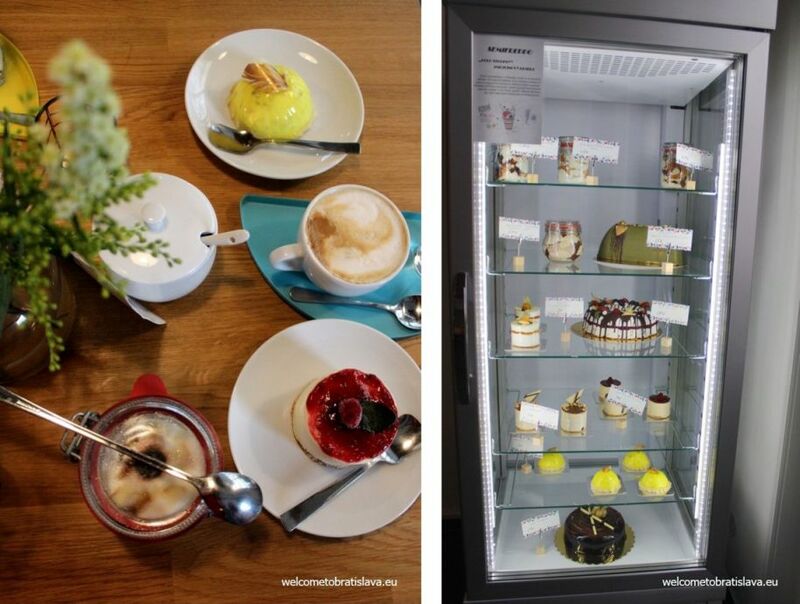 They are stored at -17°C and consequently they get an ice-cream consistency. However, they recommend to wait 15 minutes before eating, during which the consistency changes to a delicious cream. They offer various crazy combinations. 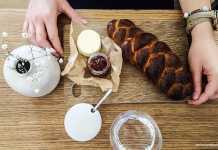 We tried the cream jar with mango, coconut and cherry flavours and pieces of cookies and absolutely loved it. It was light but at the same time the portion was huge and made you feel full. The lemon cake with raspberries and biscuits was awesome too and yellow cake with the white nougat and pistachios was special, too. 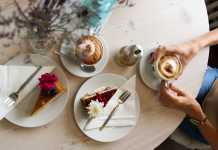 This is a friendly space with friendly people waiting to serve you delicious treats. What more can we say?! This is what ice cream dreams are made of. Important note: make sure to have cash on you when visiting, as you cannot pay by card here.